China Glaze Life Preserver is from the Anchors Away Collection 2011. It's a soft burnt orange creme. 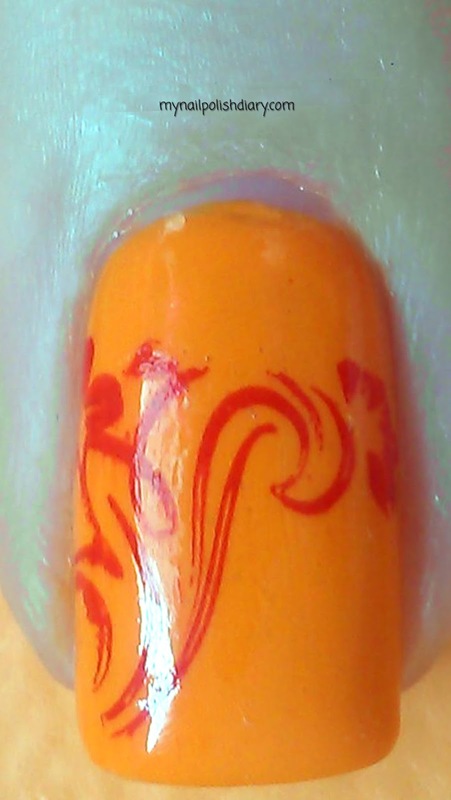 Application and formula were China Glaze typical perfection. 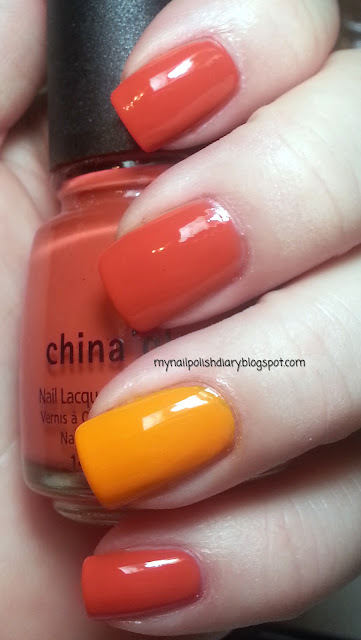 China Glaze Papaya Punch is from Island Escape Collection 2011. It's a shade I bought on a whim. It's also a color I'd probably never wear as a full mani. It worked good for an accent nail though. It's bright orange and pretty close to neon. It's not as yellow as it appears in the picture. To me it's absolutely orange. Maybe it is neon? I added a stamp with Life Preserver on the accent nail and it turned out great. 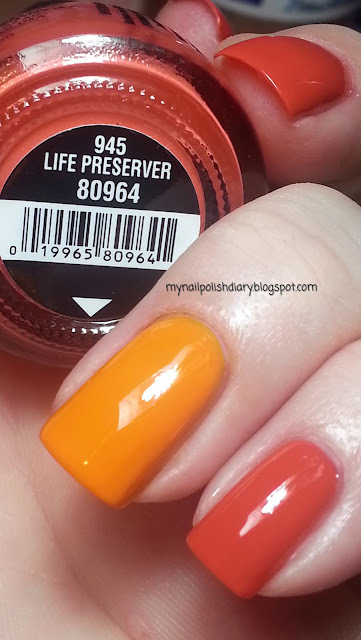 Never thought of putting these 2 together in a mani but I LOVE it - and I have both of them...I wear Lifepreserver lots - but I think punching it with the yellow pulls Lifepreserver more toward the adobe clay shade (dusty orange) it is.